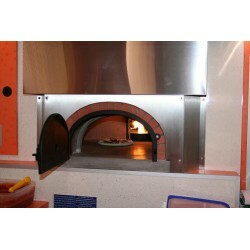 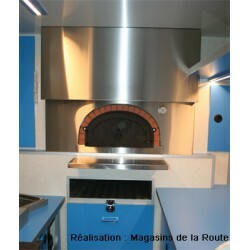 Ideal oven for mobile pizza maker. 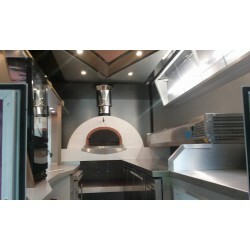 The size of the cooking chamber and the weight of the oven are perfectly compatible with mobile catering . 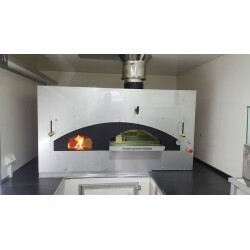 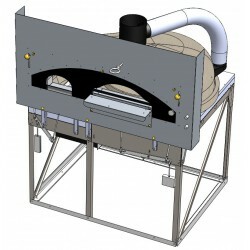 The complete set includes : oven F1200L - Straps to fix the oven, complete insulation, the flue connector without any damper Ø 180 mm with an extension part 180/230 , cast iron door 50 cm, refractory insulating door 50 cm, reinforced table, stainless steel decoration around the oven + stainless steel insulated pipe Ø 230 and hat.